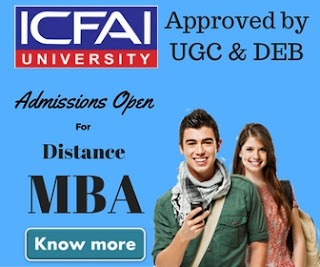 Bharati Vidyapeeth Distance Education MBA 2019: Bharati Vidyapeeth Deemed University offers a wide range of distance education courses under the school of distance education. Bharati Vidyapeeth distance education is approved by distance education council, New Delhi, India. The school of distance education is an independent unit of Bharati Vidyapeeth Deemed University & headed by the director of the school. University has a focus on offering education to people who do not get opportunities for higher education because of numerous difficulties. 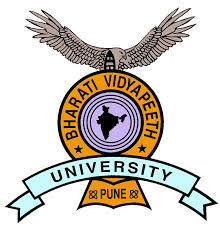 Bharati Vidyapeeth is NAAC Accredited Grade "A" University and also a member of Association of Indian Universities and the Association of Commonwealth Universities. A graduation degree with 50% marks (45% for SC/ST) from a recognized university is required to be eligible for this programme. Tuition Fee per year excluding admission fee is Rs. 24000. Application fee for this course is Rs.500 additional. 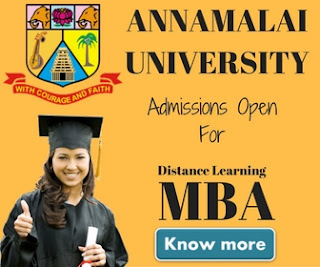 MBA in Information Technology is a specialized programme in IT. It is right programme for people who wants to establish their career in IT management. Duration of this programme is 3 years . The programme is divided into 6 Semesters consisting of 32 courses including summer training after completion of First Year and 6 month Internship Project in an organization. As the name suggest, executive MBA programme offered by Bharti Vidyapeeth university is a programme designed for experienced working professional. A minimum of 5 years of working experience is required to be eligible for the programme. The duration of the programme is 2 years.The programme comes with the following specializations. A graduation degree with from a recognized university with 5 years of working experience is required to be eligible for this programme. Tuition Fee per year excluding admission fee is Rs. 30000. The application fee for this course is Rs.500 additional. Information brochure including Admission form can be collected by paying Rs.500 in cash or Rs.600 by DD in favor of Bharati Vidyapeeth Distance Education School of Distance Education, New Delhi. For more details about how to apply & admission related details please contact on the contact details mentioned below. Bharati Vidyapeeth Deemed University Institute of Management & Research (BVIMR), A/6 Paschim Vihar Rohtak Road adjacent to Paschim Vihar (E) Metro station New Delhi — 110063.